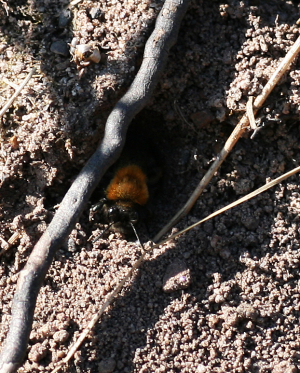 Observation - Bumblebee emerging from nest - UK and Ireland. Description: A ginger-brown bumblebee emerging from nest and taking flight. A ginger-brown bumblebee emerging from nest and taking flight.